iDancehallReggae.com::Caribbean Lifestyle Media::: RISING REGGAE ARTIST, MATTHEW GREENIDGE, WORKS ON DEBUT ALBUM FOR INTERNATIONAL RELEASE. RISING REGGAE ARTIST, MATTHEW GREENIDGE, WORKS ON DEBUT ALBUM FOR INTERNATIONAL RELEASE. Every once in awhile comes an artist with enough charisma, talent and tact that it is hard not to pay attention to. You’ve heard of newcomers as such including Chronixx, Protégé and Kabaka Pyramid, all hailing from Jamaica. Coming out of the island of Trinidad we introduce to you, Matthew Greenidge, a young rising star that is set to take the world by storm. Chanting reggae music from a tender age he has worked on his craft and ready to display a talent that is unique, words that are full of power and a conviction to stand for what is right despite the trials. In 2011, he embarked on his musical journey professionally, linking up with some of the top studios in Trinidad including Studio 53, Pengco Music and JahLight Records. It was the latter, however, that took a special interest in the artist, introducing his music to the world for the first time with an excellent tribute to the King of Reggae, entitled, Bob Marley, in early 2013. This was followed by a beautiful love song for the ladies entitled, ‘Your Loving,’ by Pengco Music. With a vision in mind, JahLight Records hesitated not in introducing to the artist the grand idea of working on an official debut album. So currently Matthew Greenidge and the team are hard at work putting the finishing touches on his album which is said to be coming along very good thus far. Already a 1st single is being put in place by the name of ‘He Loves Forever’ and an official Promo Video for the album. There are also talks of him working on collaboration with International Reggae star, Queen Omega. ‘The plan is to put out a solid twelve (12) track reggae album with at least two or three features backed by some good promotion. I’m excited about working with this young artist as Matthew Greenidge has proved that he is a very humble and competent individual. We really believe that he has what it takes to make a great addition to the Reggae music fraternity, musically and as an individual. He is really giving this album his all and that has really blessed our hearts. We know this album will also be a tremendous blessing to others that hear it as it is set to have a strong message throughout,’ said JahLight Records’ manager, Akeunde Pemberton. Slated to be completed soon the label hopes to release this work of art in some months to follow. 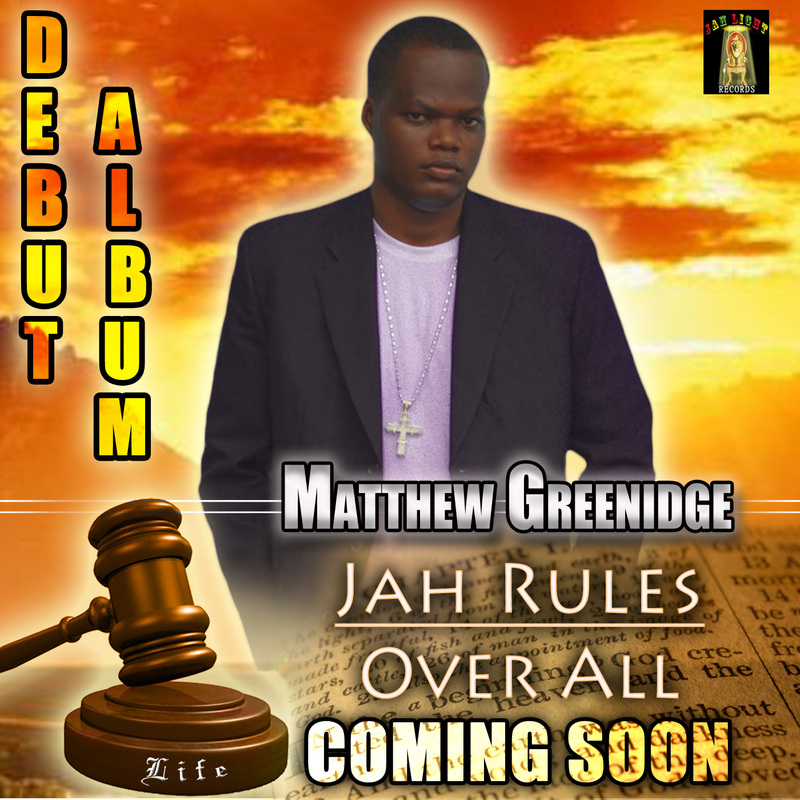 So sit up, pay attention and look on as the reggae music world is about to be moved with the power of song, coming from the heart of a son of righteousness named Matthew Greenidge.